The US operation of M² Subsea has announced the appointment of a new general manager and senior vice president of commercial as the firm embarks on the next stage of its growth strategy. 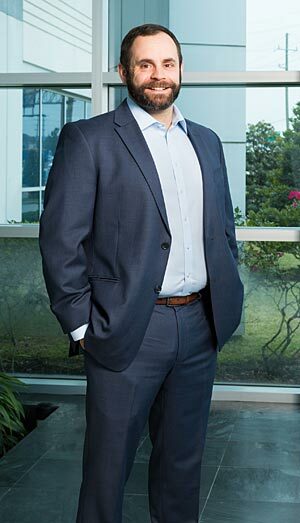 Based in Houston, Paddy Hardey will be responsible for implementing the firm’s global commercial and contracting principals to ensure the strategic development and continued growth of the fledging subsea company. Overseeing the Woodlands, Texas, based US business and all commercial, tendering activity and contract negotiations across M² Subsea’s core business functions, Hardey will focus on the successful delivery of work for the firm’s key clients across the globe. His appointment follows a series of major developments within the business including the opening of a UK base in Aberdeen and the firm’s plans to create over 50 onshore and 100 offshore jobs by the end of the year. Hardey brings with him a wealth of experience in business management having held a number of senior level roles in the oil and gas industry. Most recently, he was commercial manager of Bibby Offshore’s North American subsea division, where he played an integral role in growing the company’s global footprint, establishing business links in a number of emerging regions. Prior to this, he was commercial manager for Halliburton’s Pipeline and Precommissioning business in Aberdeen.